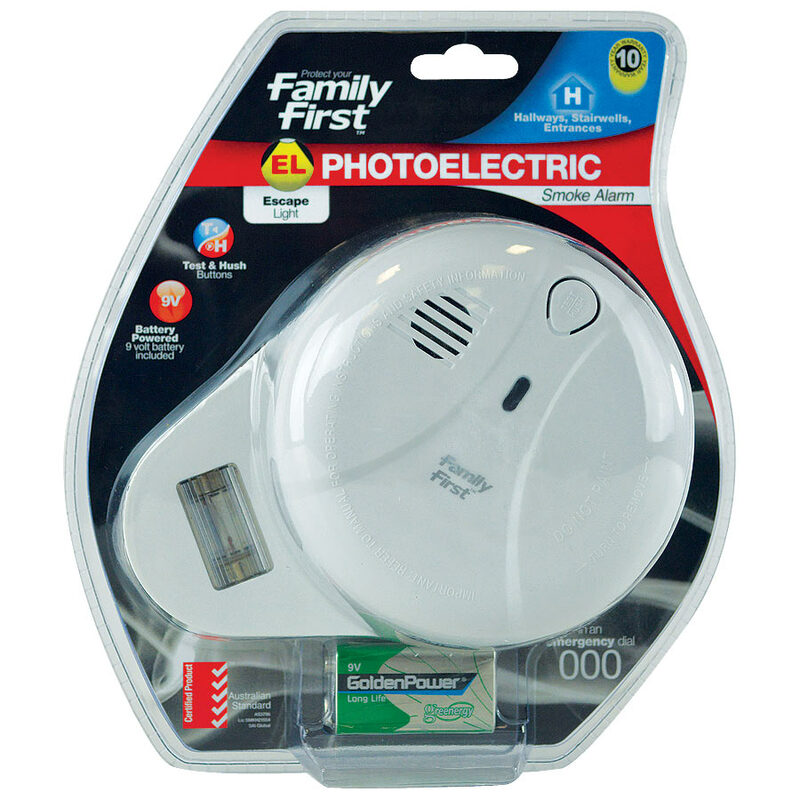 Photoelectric type smoke alarm with integrated escape light. The escape light gives you a visible, familiar point of reference so you can escape through blinding smoke. Operated by 9V battery (included). Hush button for silencing false alarms. Loud 85 decibel siren to ensure alarms are heard. 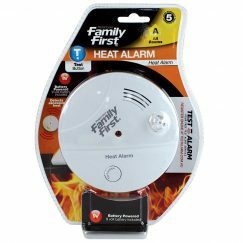 This smoke alarm is certified to Australian Standard 3786-1993 – see below. 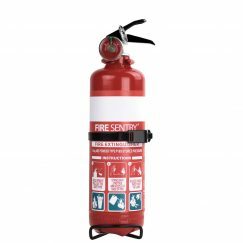 This smoke alarm is certified to Australian Standard 3786-1993. Please check your local statutory authority if it complies with current regulations applicable to you. With recent changes to the National Construction Code, smoke alarms being installed in new dwellings and dwellings being substantially renovated must meet Australian Standard 3786-2014. A new equivalent product that meets this standard will be available for sale soon. All smoke alarms being installed in Queensland must meet Australian Standard 3786-2014. Therefore as this product meets Australian Standard 3786-1993, we do not sell this product into Queensland. A same product that meets this standard will be available for sale soon; consider also our new 10-Year Lithium Photoelectric Smoke Alarm. 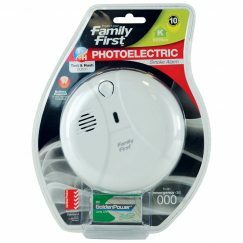 The Family First Photoelectric Smoke Alarm with Escape Light is a battery-operated smoke detector, suitable for all areas of your home especially hallways and stairwells and general living areas. With a bright escape light, this smoke alarm will help you escape by guiding you the way so you can navigate through smoke which makes your home suddenly feel very unfamiliar. The alarm’s dual ‘test’ and ‘hush’ button allows you to be confident it is working through regular recommended testing, and to silence false alarms when needed. Offering you reassuring peace of mind with a 10-year warranty, it is tested to Australian Standard AS3786-1993. The photoelectric smoke alarm type is superior technology compared to the old ionisation type, and will provide you with better protection. Being far more sensitive to larger smoke particles, typically produced in greater amounts by smouldering fires that can go on for hours before bursting into flames, you can be notified sooner of incidents and benefit from less false alarms from cooking mishaps such as burnt toast.